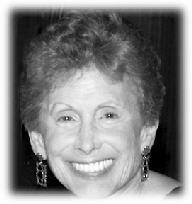 February brought Valentine's day and the death of my good friend and business partner, Sheila Kutner. Although we tend to think of Valentine's Day as being about romantic love, over the years this concept of "love" has expanded to include family, friends, and collegial love and affection. So I want to write a belated valentine for Sheila, my friend, colleague and partner in theFastTrack Coach Academy since we started it 7 years ago. For the last 2½ years, Sheila had been in remission from lung cancer. In the last several weeks of her life Sheila almost overnight moved from remission to hospice care. She had previously rebounded from both thyroid cancer and breast cancer. At her funeral, people described Sheila as being "fearless." I didn't see her quite that way but rather as courageous - she was probably the most courageous person I ever knew. She had the capacity to embrace life in all its ups and downs, including the genetic hand she was dealt. Ever the optimist, she made a calling of turning challenges into opportunities and helping others learn to do the same thing. Sheila was a feisty, funny, bubbly woman whose enthusiasm for life and learning was contagious. She had a constitutionally positive, optimistic attitude that always brought out the best in her students, clients and really anybody she interacted with. She was the consummate communicator, with a talent for making others feel heard, understood and appreciated. Caring, kind and compassionate, Sheila was always ready with a story that helped us better understand ourselves, that invited us to question our assumptions and customary ways of viewing ourselves and the world. She was consummately encouraging, helping everyone develop their own courage muscle, especially in challenging situations. Sheila was an extraordinary diplomat, whose example helped me grow my own skills. She loved people, was an extrovert through and through, and both derived and created energy through her interactions with others. She seemed like the Energizer Bunny, frequently the life of the party, happily and regularly contributing her talents and energy to countless worthy causes. She was one of those people who adored every member of her family and was adored by them all. She had many friends and was a wonderful business partner who enjoyed her work every day. She was funny and knew just how to use humor in both support of individuals and to lighten a room or diffuse tense moments. This valentine could go on and on, but, alas, Valentine's Day is over, which, as I said, makes this is a belated valentine for Sheila. I don't think I can say it any better than Humphrey Bogart did in Casablanca: Sheila, "here's lookin' at you, kid."